Journalist Ricardo Chavira and I wrote this story for the Dallas Morning News. It was published on June 1, 2003. She’s on the edge of her seat. She stands, leans and then it happens: Mileisi Esquijarosa is crowing like a rooster. Mileisi, thin, 20-something and clad in jeans, isn’t just a fan. She’s a fanatic who took voice lessons to master her ear-piercing cry. “Kikiri-ki!” “Kikiri-ki!” she cries as her favorite baseball team, the Sancti Spiritus Roosters, scores against the home team at Havana’s Latinoamericano Stadium. Baseball is played in 104 countries on six continents, but Cuba is probably the most baseball-crazed nation on the planet. More than a national sport, baseball – or pelota, as it is called here – is a religion on the island, and just about everyone is a believer. And they’ve had reason to believe. 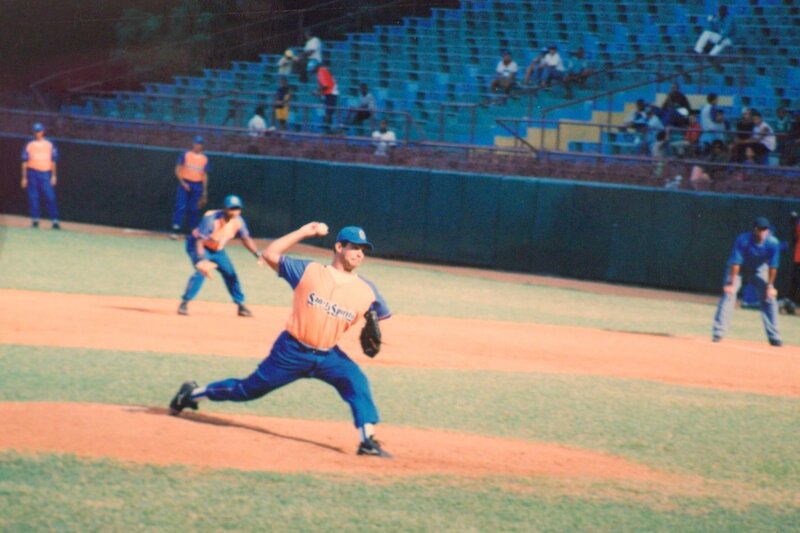 Cuba took the gold medal in the first two Olympic baseball matches, in 1992 and 1996. Of the 26 world tournaments in which the national team participated, Cuba took the title 23 times, winning 152 consecutive games from 1987 to 1997. But lately, Cuban baseball, while still an international powerhouse, has lost some of its luster. In an 11-inning struggle for the Intercontinental Cup in 1999, Cuba suffered a bitter 4-3 loss to Australia. The next year, a U.S. team of amateurs whipped the Cubans in the championship game of the 2000 Olympics. And in the last decade, dozens of players have defected to the United States, among them a top-ranked pitching ace – lured by the promise of lucrative contracts. Add to that grueling schedules, crushing economic deprivation and the cumulative effect of isolation from the rest of the baseball-playing world, and you have a sport in danger of slipping into decline, analysts say. The U.S. ban on trade with Cuba – coupled with Cuban laws restricting trips abroad – prevents players from traveling freely to the United States. Unfortunately, he says, bitter relations between the two countries prevent that from happening. And Cuban baseball suffers. Baseball was introduced to Cuba in 1866, when American sailors played the sport with Cuban longshoremen, according to one long-held story. Cubans picked up the game quickly and were playing organized ball by the 1870s. By 1911 Cubans were showing their stuff in the States. Legendary Cuban pitcher Adolfo Luque helped the Cincinnati Reds win the 1919 World Series. The Cuban-American baseball connection grew over the years as 81 Cubans made it to the big leagues before Fidel Castro took power in 1959. Standout players included Minnesota Twins slugger Tony Oliva, Hall of Famer Tony Pérez and pitching great Luís Tiant. And eventually, more than 140 Cubans reached the major leagues. Historically, baseball has been a way for Cuba to shake its fist – and bat – at its powerful northern neighbor. But lately, something has been getting in the way – money. More players are wondering why they should play for a pittance when they could make millions of dollars in the major leagues. And some have defected. To be sure, a relatively tiny number have left – some 35 players since 1991. But the defections have created an uneasiness in Cuba’s baseball world. Signs that some players were unhappy surfaced in July 1991 when pitcher René Arocha defected. The St. Louis Cardinals picked him up, and he won 11 games for the team in 1993. The word spread and other defectors soon followed. Many were fed up with how they were treated in Cuba, where they were elite athletes but earned only a few dollars a game. Some even had to sleep on mats atop the dugouts before games, according to the 2001 book The Duke of Havana: Baseball, Cuba and the Search for the American Dream by Steve Fainaru and Ray Sanchez. 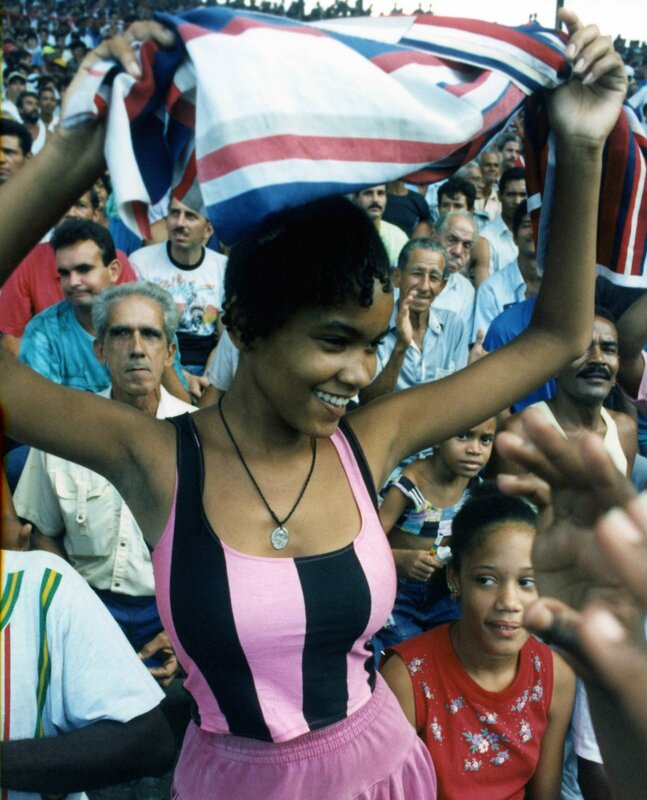 Few Cubans, athletes included, lived well during the early 1990s. The Soviet Union had collapsed. Cuba was suddenly without its chief sponsor and nearly $6 billion a year in aid. The economy crashed, store shelves went bare, and tensions simmered. Ballplayers couldn’t help but feel it. Cuban teams still won most of their games. But something had changed. Some players had lost faith. They complained that they had given their lives to baseball – and their nation – but hadn’t gotten much in return. A few players quit, unwilling to defect but refusing to play any longer. Cuba was changing. The government was developing tourism to bail out the economy. It legalized possession of American dollars. Some Cubans began to live better than others. But some players still felt neglected. Pitcher Livan Hernández decided to defect in 1995 after a game in Monterrey, Mexico. Sports authorities were furious. He was a promising young pitcher. And as they saw it, he had reaped the benefits of the Cuban sports machine his entire life: free education, free health care, training from the best coaches. Cuba owed him nothing. He was the one who should be grateful, the officials figured. Still, Mr. Hernández felt abandoned. As is often the case, it was the small things that mattered. His old television didn’t work, something about a broken tube. So he asked a local Communist Party leader if he could take care of it. No problem, the guy said. But nothing happened. And later the pitcher said that’s what drove him over the edge. The Florida Marlins gave Mr. Hernández a $4.5 million contract, including a $2.5 million signing bonus. Cuban officials were incensed. American scouts by then were following Cuban teams all over the world, trying to reel in the best players. Some even had the nerve to do business in Havana. They gave players wads of cash, lavish gifts, liquor, cigars, meals – all under the nose of state security officials. In 1996, authorities responded, arresting Juan Ignacio Hernández, a Cuban-American sent to the island to recruit by his cousin, Joe Cubas. 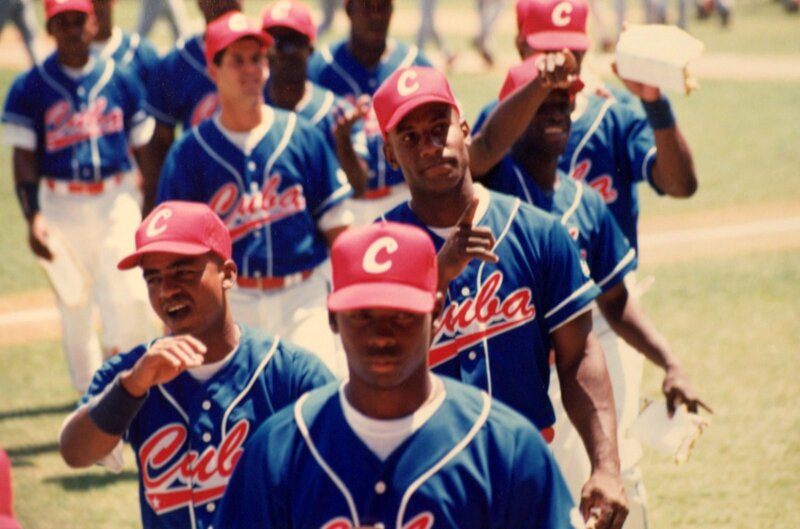 Mr. Cubas was the most successful sports agent recruiting Cuban players in the ’90s, according to The Duke of Havana. Cuban authorities said Mr. Hernández had tried to sign five players. A judge slapped him with a 15-year jail sentence – three years per player – and he remains in prison. Authorities also banned three top players from baseball. Alleged crimes ranged from conspiring to defect to consorting with talent scouts. One of those banned was Livan Hernández’s half-brother, a high-stepping hurler named Orlando “El Duque” Hernández. El Duque was Cuba’s winningest pitcher, with a 129-47 record, a .733 percentage. He was a hero. Then suddenly, the government said he could no longer play the game he loved. Fed up, El Duque slipped out of Cuba on a boat in 1998 and went on to help lead the New York Yankees to three World Series titles. Back in Havana, uneasy times continued. The United States upset heavily favored Cuba at the 2000 Olympics. The Cuban players were stunned. “You have to recognize they played better than us,” pitcher Lazaro Valle said later. But for sports officials, it was a full-blown crisis. They spent the next six months analyzing their mistakes, trying to figure out why they lost. Then they began revamping their baseball training and recruiting programs. He also vowed to continue trying to prevent American scouts from luring away Cubans. Most players need no convincing. Carlos Tabares, a gregarious outfielder who plays for Havana’s Industriales, would certainly be a good catch for the major leagues. But he’s content to stay in Cuba. He also has faith in Cuban baseball and his country. So do sports officials. And they say a sign of their returning strength came in 2001, when they defeated the United States at the amateur world championships in Taipei, Taiwan. Cuban fans know all about these competitions. They know their players and the teams. They understand the sport. It’s a country of baseball managers, Milton Jamail once wrote. And they all seem to hang out at “La Esquina Caliente”- the Hot Corner – in the middle of Central Park in Old Havana. Fans gather there every day to furiously debate every imaginable bit of baseball trivia, news and gossip. The dean of the Hot Corner is Marcelo Sanchez. He’s 72 or 73; he’s not sure which. But he knows his baseball. It’s been his passion for years. And in a dingy, crumbling apartment building just off Central Park, he keeps cardboard boxes full of treasures: old scorecards, magazines, felt pennants, yearbooks, ticket stubs. Asked about the state of the game, he sighs. Some of the best players have retired or defected. Others rising in the ranks have great potential but lack experience. Then there’s the schedule. Some teams play five or six games a week. The pitching rotation is brutal. Then players climb onto the bus and travel sometimes 12 or more hours to their next game. And not long after the 90-game season is over, international competitions begin. “No player – not even from the Yankees – can keep up the pace,” Mr. Sanchez said. Cuban baseball officials defend the state of the game and say their players are superior to other Latin Americans. “If we were in the big leagues, we would have double the number of players of any other country,” says Cuban baseball commissioner Carlos Rodríguez. American baseball executives who have quietly visited the island have been so impressed with the quality of play that they have asked to visit training facilities, he says. Preston Gomez, a veteran Cuban-American major league coach and adviser to the world champion Anaheim Angels, agrees that his homeland is full of top players. Grady Fuson, assistant general manager for the Texas Rangers, agrees. “There is no doubt that Major League Baseball would benefit greatly by having open-market access to Cuba’s players,” says Mr. Fuson, a former Oakland A’s scouting director who helped sign Ariel Prieto, a Cuban pitcher who immigrated legally to the United States. And in the meantime, fans like Mileisi Esquijarosa will continue obsessing over their favorite teams. Cuban journalist Miguel Hernández contributed to this report.